Thanks in great part to the continuing generosity of the John S. and James L. Knight Foundation, the Adrienne Arsht Center recently announced the second annual MASTERWORKS SEASON, including the return of the tremendously popular classical music and dance series, plus the exciting addition of a brand new pops series. The MASTERWORKS SEASON features five phenomenal presentations in the Sanford and Dolores Ziff Classical Music series, four pops performances by national stars, and three dance companies showcasing the very best in classical and contemporary dance from the U.S. and abroad. 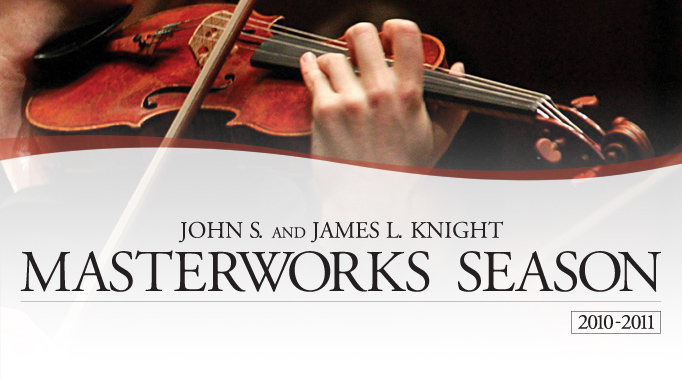 The vision behind the MASTERWORKS series is to present a world-class roster of diverse and compelling artists that reflect the interests of every household in South Florida. To that end, the stellar MASTERWORKS lineup includes superstar violinist Joshua Bell; twenty-something siblings and piano virtuosos, The 5 Browns; and the intensely theatrical work of Mexican dancer/choreographer Tania Pérez-Salas. 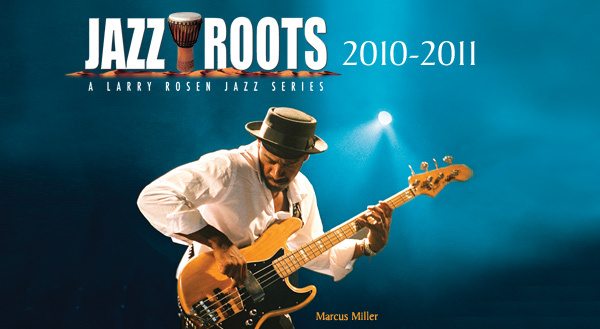 Also returning to the Adrienne Arsht Center is the wildly popular JAZZ ROOTS series. After two sold-out seasons, JAZZ ROOTS returns for a third season of Grammy® Award-winning artists performing onstage and making a dramatic impact on the young people in our community. As one of the Center’s largest and most dynamic education and outreach efforts, the JAZZ ROOTS series provides an in-depth, behind-the-scenes performance and educational component to local jazz high school students during each show. Thus far, more than 1,800 students have been part of the special sound check with the artists, lecture series, and Q&A session with the performers that forms the cornerstone of each JAZZ ROOTS show. This season the Center will open its doors to another 900 enthusiastic jazz students, providing them with the once-in-a-lifetime opportunity to ask Michael Feinstein if he still practices the piano, Dianne Reeves what her vocal warm-up includes, and Ron Carter what it was like to play with Miles Davis. Cuban-born piano dynamo Alfredo Rodriguez has been in this country for less than a year but his professional trajectory already reflects a touching example of the great American dream. 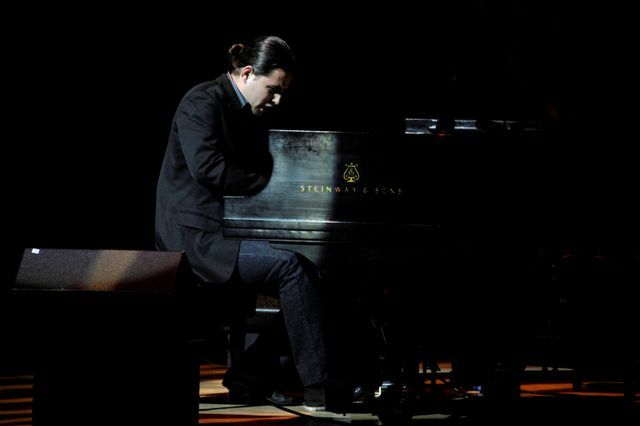 The son of a famous Cuban vocalist, Rodriguez has an astonishing, undeniable virtuosic talent at the piano, and came to the attention of über producer Quincy Jones at the Montreux Festival in 2000. Just under a year ago, Rodriguez decided to follow his dream in the United States, and last Friday the piano protégé made his Miami debut at the Adrienne Arsht Center as part of Jazz Roots: Piano Latino. As recounted by Quincy Jones, Rodriguez’s phenomenal talent and artistic vision led him on a quest to leave Cuba and pursue his musical dreams stateside. In a storybook twist of fate, Rodriguez was stopped at the Mexican border while trying to defect. Rather than lie to the authorities, 24-year-old Rodriguez moved the authorities with his story – so much so that they called a car and gave him taxi fare to cross the border and follow his dreams! After a week of local press appearances here in Miami, Rodriguez took to the stage for a warm South Florida welcome for this incredibly promising young talent and near native son. In a triple threat bill, the evening also featured Multiple Grammy Award-winner Eddie Palmieri, and the brilliant and legendary Michel Camilo. In a rousing finale, all three artists filled the stage with salsa, son, and superb artistry, even playing at the same piano as the audience cheered in delight. “Otra, otra, otra,” the crowd chanted, hoping for just one more tune… so the pianists played on, the audience danced in the aisles, and another American dream took flight. Last Friday night, over 1,600 jazz and blues fans packed the Knight Concert Hall for an unforgettable start to the 09/10 JAZZ ROOTS season. The season opener featured New Orleans legend Dr. John alongside Chicago blues icon Buddy Guy. Dr. John started the night off with his band, the Lower 911. He treated the audience to such beloved hits as “Mama Roux” and “Right Place Wrong Time” along with songs from his recent Grammy award-winning album “City that Care Forgot”. Following Dr. John, Buddy Guy took the stage, thrilling the audience with an exciting performance that had everyone up on their feet. At one point, Buddy Guy stepped out into the crowd, playing his guitar up through the aisles, out into the lobby, having a great time as he made his way back up to the stage. Altogether, it was an electrifying show. Earlier that afternoon, 150 jazz students from the Miami-Dade Public School System also got a special treat when they watched the band sound check and participated in a Q&A with Dr. John’s music director, Herman “Roscoe” Ernest. The kids also learned about the history of the blues with FIU professor, Robert Grabowski, before taking their seats in the theater to enjoy the concert. 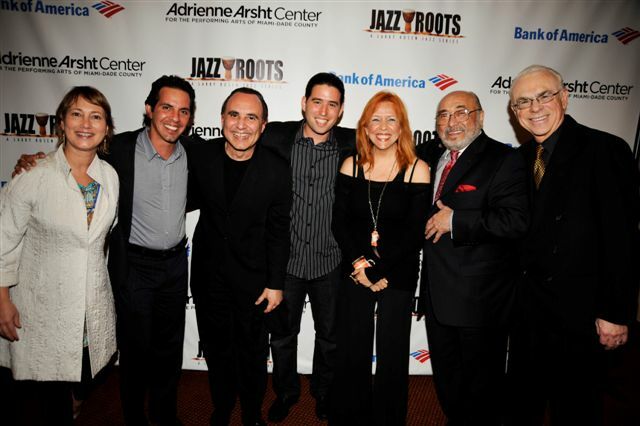 The evening marked the opening of an exciting season of JAZZ ROOTS concerts, in partnership with Bank of America, the 09/10 sponsor for the series. The concerts continue on December 4th with “An Evening with Dave Grusin” and into the spring with four more concerts including “Vocalese”, “Jazz and Soul”, “A Tribute to Frank Sinatra” and “Piano Latino”. 13-year-old Markus Howell, an audience member and saxophone student, was surprised with the opportunity to have a one-on-one saxophone lesson with jazz legend Sonny Rollins after his Saturday evening performance at the Adrienne Arsht Center. Photo Credit: (Left-Right) Sonny Rollins and Markus Howell. Photo by Daniel Azoulay.